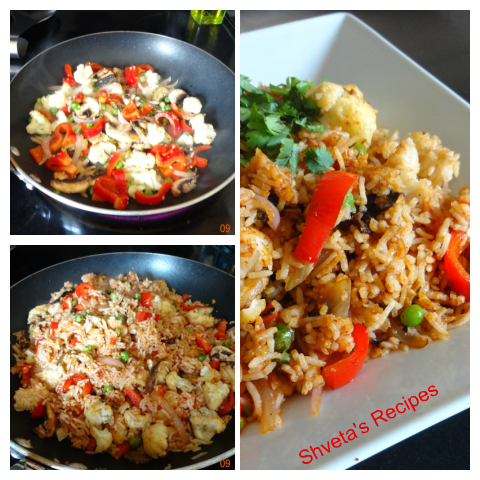 Cut cauliflower, cabbage, green bell pepper, mushrooms accordingly. Keep aside. 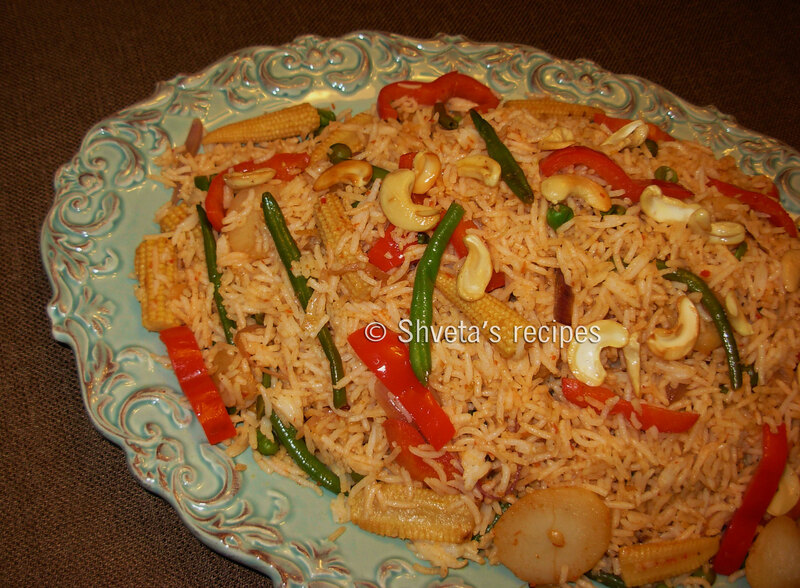 In a bowl, add Maida, salt, baking powder, all the above chopped vegetables and 1 cup chopped onions. Now add water to make a thick batter. Mix well. In a pan heat cooking oil to fry. Make fritters of this batter, deep fry till they turn light golden. Drain on a kitchen towel and keep aside. In another pan heat 2 tbsp cooking oil. Add remaining chopped onions, ginger, garlic and green chilies. Sauté till it turns golden brown. Now add tomato ketchup, honey, salt, lemon juice, freshly grounded black pepper powder and orange food color. Mix well and it’s ready to serve. Garnish Veg Kothe with freshly chopped green spring onions and chopped cilantro. Enjoy as an appetizer or anytime snack. 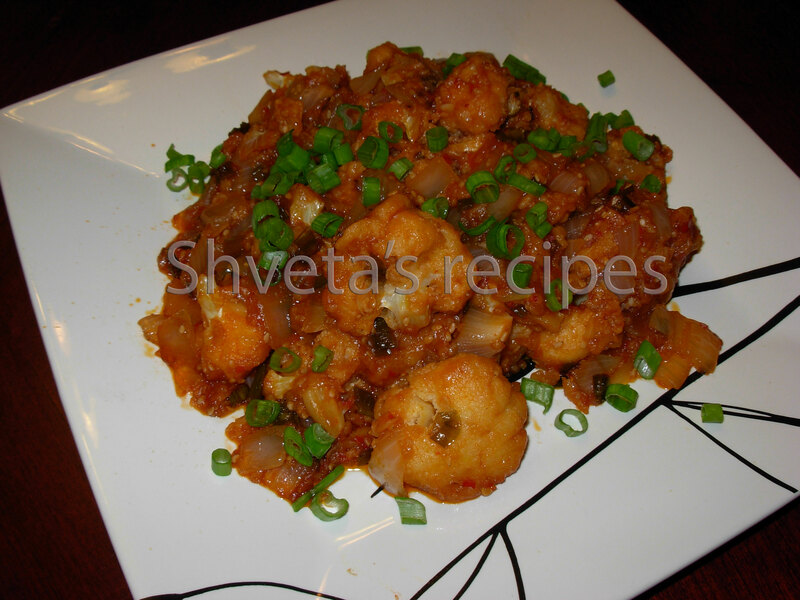 Gobi Manchurian is one of the common Indo Chinese dish. 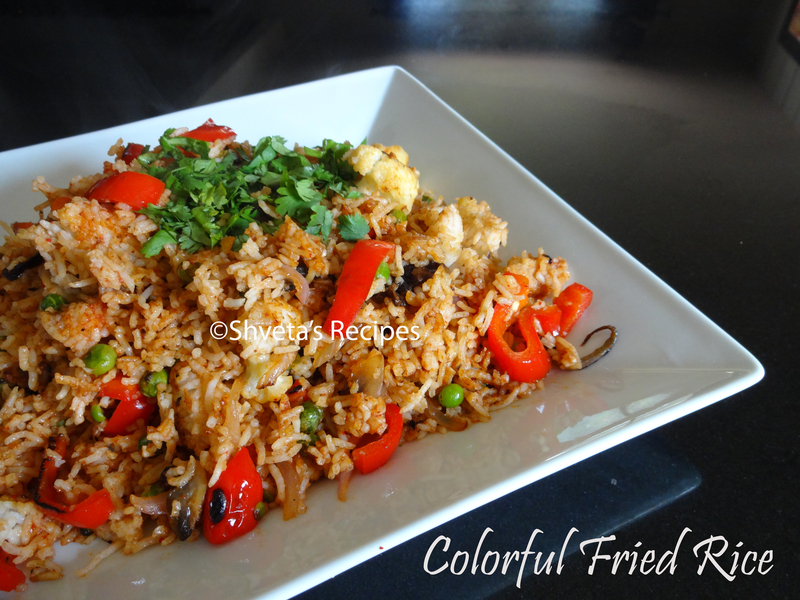 It is flavorful yet simple. This recipe is a very special request of one of my dear friend. Hope you like it. Cut cauliflower into bite size florets and wash thoroughly. Keep aside. In a bowl, add corn flour, Maida, salt, half ginger, half garlic and little water to make a runny batter. Now dip the cauliflower florets in the batter and deep fry till they turn golden. Drain on a kitchen towel and keep aside. In a pan heat 2 tbsp cooking oil. Add chopped onions, remaining ginger and garlic. Sauté for 2-3 minutes. Add fried Gobi florets to it. Mix well and also add ajinomoto, soy sauce and tomato ketchup. Add some salt if needed. [Soy sauce already has some salt.] Mix well and its ready. 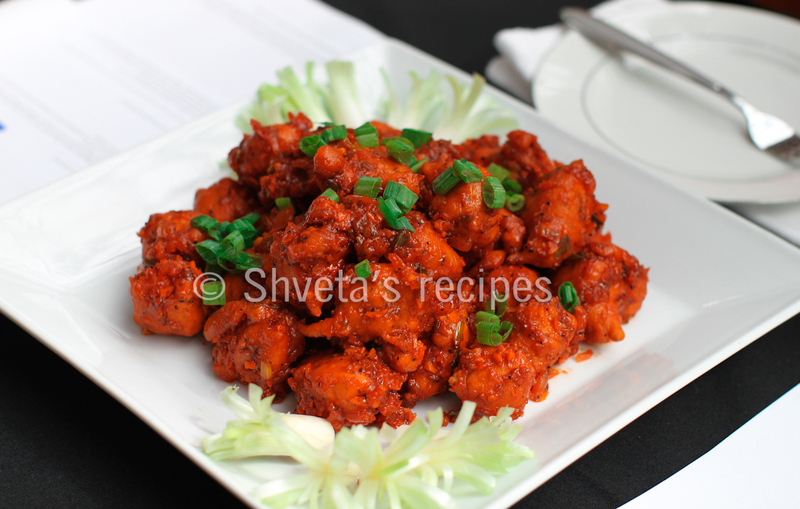 Garnish Gobi Manchurian with freshly chopped green spring onions. Serve hot with plain steamed rice. 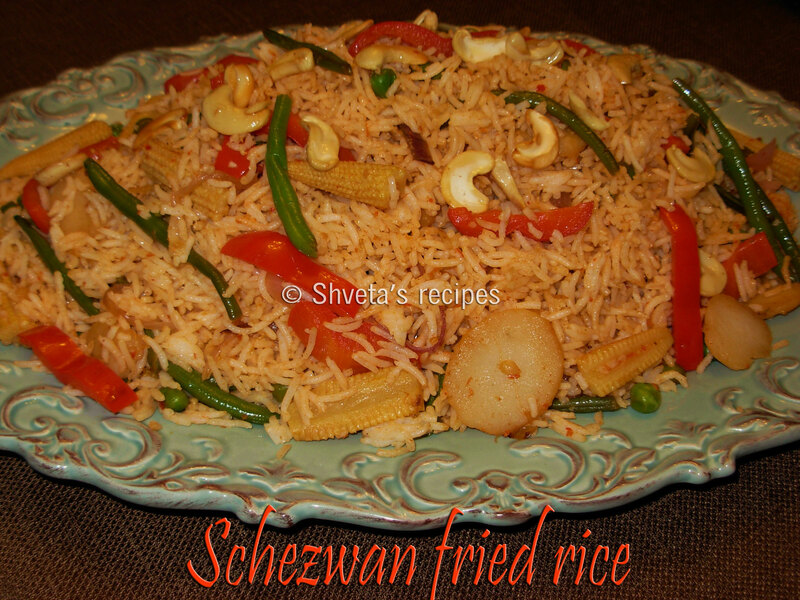 A Simple and flavorful vegetarian delight. Absolute favorite for even hard to please crowd, you know what I mean :-). 1. Prepare all the vegetables as directed. 2. Cut paneer into small bite size cubes and shallow fry it. Keep fried paneer aside. 3. Heat the wok and add 2 tablespoons oil. When the oil is hot, add the minced ginger and garlic and stir-fry briefly until aromatic. 4. Add onions and carrots first and stir fry on high heat for 30 seconds. 5. Add rest of the vegetables and stir-fry for another 2 minutes. 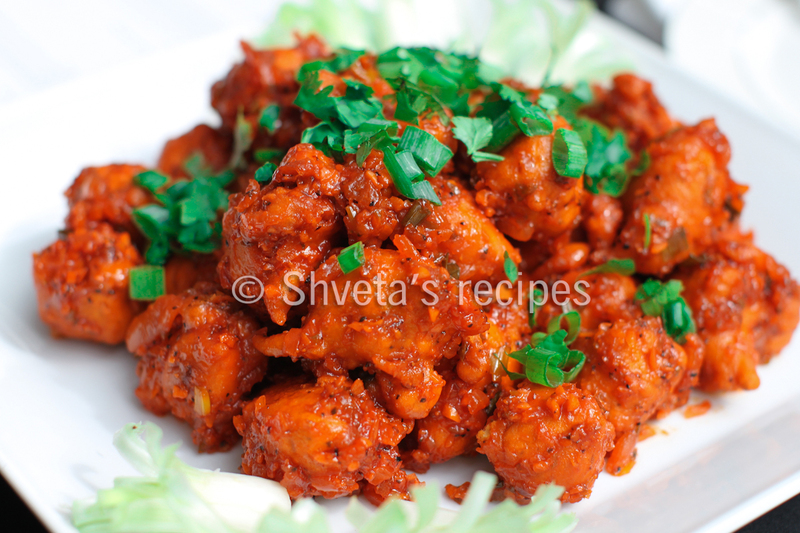 Add fried paneer cubes to it. 6. Stir in Soy sauce, Kung Pao Sauce, Maggi Hot & Sweet sauce, Garlic chili sauce, Lime juice, honey (or brown sugar) and salt. Cook for a few more seconds. 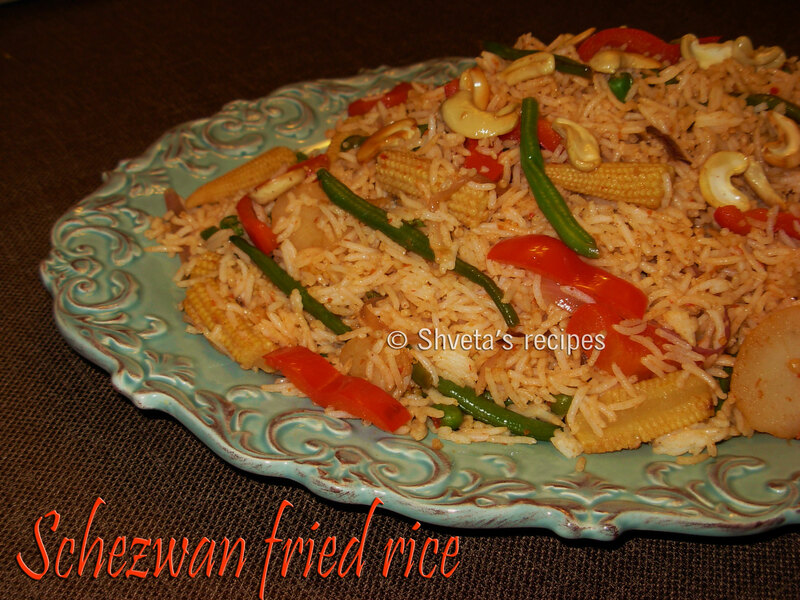 Serve hot with steamed rice or noodles and Enjoy.